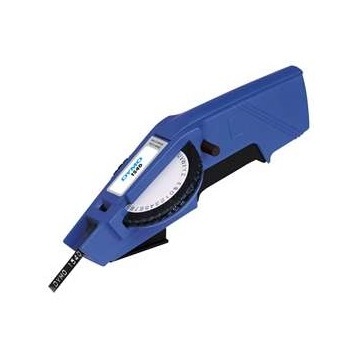 The Dymo 1540 Plastic Tag Embosser is an entry level commercial plastic tag embossing tool. The plastic rolls are loaded in to the tool and then simply choose each character to print. The plastic tags are ideal for short & medium term indoor / outdoor plant tags, although we would recommend the M1011 for long term tags as this uses steel or aluminium tags.